It’s not new for Silicon Valley to be the subject for Hollywood. From the actual TV series Silicon Valley, to one off episodes in series like Veep, to the eery Black Mirror, the growing power of technology and the maturation of the industry make for good comic and dramatic fodder. 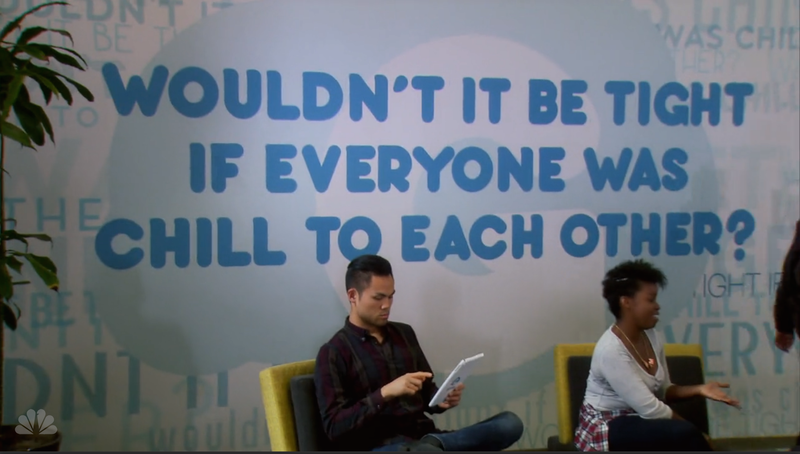 The latest is perennial NBC favorite Parks and Recreation. The feel-good show — starring Amy Poehler as Pawnee, Indiana Parks employee Leslie Knope — is going after Facebook, Apple, Amazon, and Google in a multiepisode storyline stretching across its final season. The tech quartet is represented symbolically as one in a company called Gryzzl, which bids for a giant chunk of land near Pawnee that Leslie wants to turn into a national park. The year is 2017 and Gryzzl’s fingerprint is everywhere. The characters scroll through their collapsible, transparent tablets, surf free Gryzzl Wi-Fi, and communicate through Gryzzl’s social network. 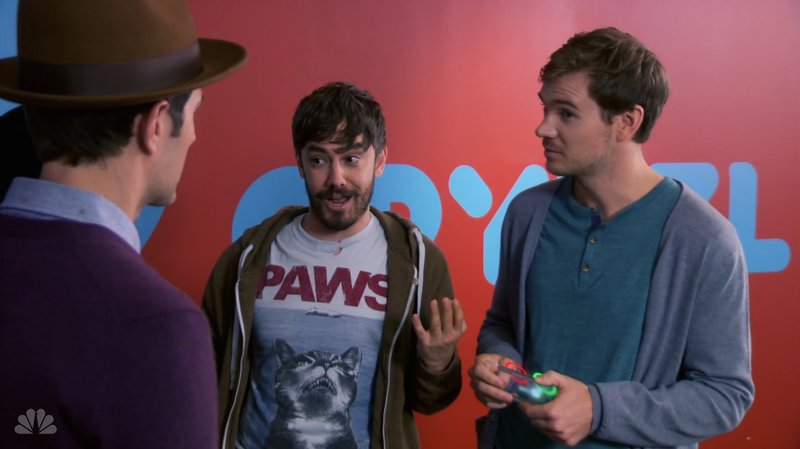 Gryzzl’s casually dressed, young execs pop up throughout the episodes, determined to win their $90 million bid to turn the Pawnee park into their next tech campus. But Leslie, in her frantic attempt to defeat them, comes across that classic consumer tech Achilles Heel: Data privacy issues. Pawnee residents start freaking out when Gryzzl delivers creepily personalized, free gifts to each of them by drone. Pawnee, Indiana, is supposed to represent the ultimate vision of Middle America. Despite being written in Hollywood, it gives us some satirical insight in how the rest of America views tech companies and data privacy issues in particular; far more so than the actual show Silicon Valley. 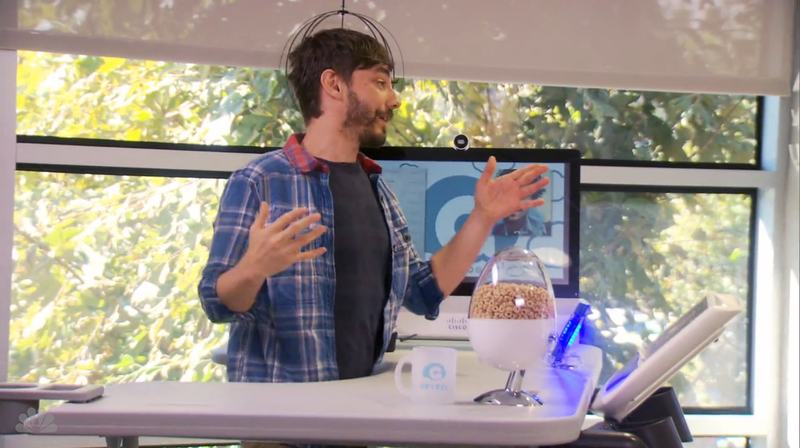 I’ve seen my share of cereal dispensers at startups. And tech companies do love their standing desks, with Facebook testing out a treadmill desk lab. 4) Gryzzl’s press conference, featuring rave lights, trance music, and booth babe-esque dancers. Kinda reminded me of TechCrunch Disrupt. A local celebrity spouted nonsense buzz words that resembled The Verge SuperBowl trailer. 5) The talking Gryzzl drone delivering creepily personalized presents to the residents of Pawnee. Basically Amazon and its drone delivery plans. 6) The Pawnee residents complaining about their invasion of privacy at a Town Hall meeting. 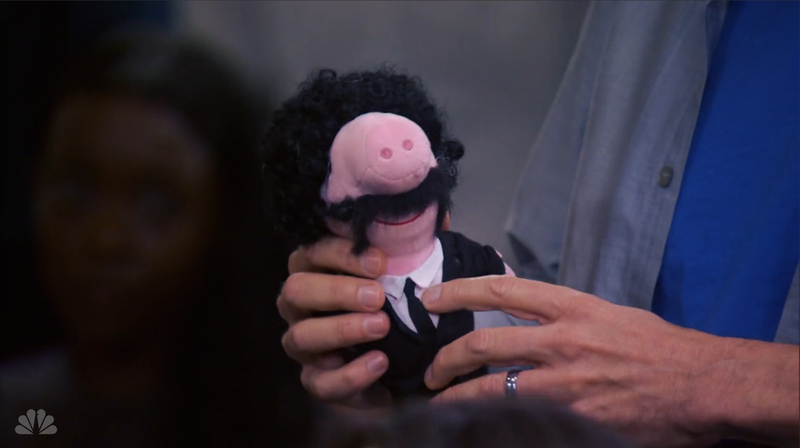 The man who collects toy pigs dressed like movie stars stole the show. 7) Gryzzl’s new facial recognition software that tracks your expressions and knows your mood, reminiscent of Facebook’s newsfeed emotions testing.